In 1948, Allen Ginsberg was at his East Harlem apartment when he had a mystical vision of William Blake appearing to him, reciting poetry; thus began a lifelong engagement with the British poet's works. Beginning in 1969, Ginsberg began setting Blake's poetry to music in a style that might be termed experimental folk, sharing vocals with Peter Orlovsky and backed by such musicians as drummer Elvin Jones, pianist Bob Dorough, and avant-garde cellist Arthur Russell. Unpretentious and haunting, Ginsberg's versions of "The Sick Rose," "Nurse's Song," and "The Chimney-Sweeper" add a new dimension to these familiar poems. 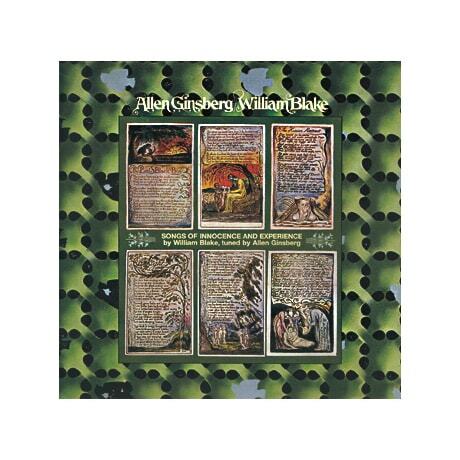 Long out of print, this remastered two-disc set collects all of Ginsberg's original recordings plus alternate takes, and three of his Tibetan mantras with a Buddhist chorus. The enclosed booklet includes photos and recounts the history of these unique recording sessions.